For many years, political leaders from both major parties have dreamed of "comprehensive immigration reform." The core idea has always been some sort of grand bargain that legalized the status of many illegal immigrants in the U.S. along with improving border security. 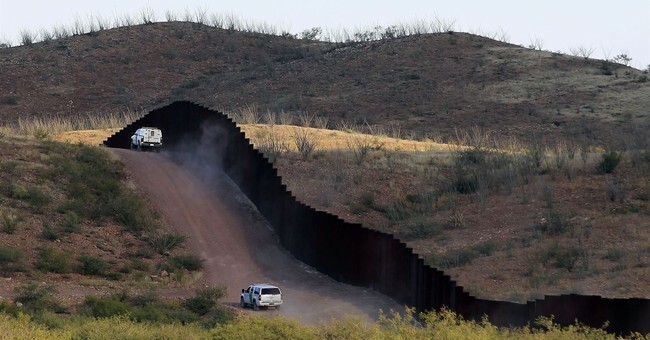 However, the idea always faltered in the court of public opinion because voters reasonably doubted that the politicians were serious about the border security part of the deal. Yet, in concept, the idea remains popular today. Seventy-five percent want Congress to pass comprehensive federal immigration reform to secure our borders and resolve the status of illegal immigrants already living in the country. Only 6 percent disagree. However, even in asking that question, we get a sense of the voter priorities and distrust of their political leaders. When we asked the exact same question but mentioned legalization first, support slipped a bit to 67 percent. Emphasizing legalization first leads to softer support. Still, in our deeply polarized times, 67 percent support for any major initiative is pretty amazing. So, at ScottRasmussen.com, we decided to ask voters what should be included in a comprehensive immigration reform bargain. Top of the list, with 84 percent support, was "deporting illegal immigrants with a criminal record." Next, with 69 percent support, was "increasing the number of Border Patrol agents." Third, at 65 percent, was "creating strict punishments for companies that knowingly hire illegal immigrants." Also at 65 percent support: "forging a deal with Mexico to have them detain those seeking asylum in the U.S. within their own borders until their applications can be processed." A handful of other proposals were supported by 55 percent to 57 percent of registered voters. This included the part of the bargain that official Washington desires: "legalizing the status of illegal immigrants who have lived in the U.S. for a long time." It also included "changing U.S. immigration laws to grant preference to potential immigrants with skills that could benefit the U.S. economy." Showing that the concern is not just with the Mexican border, most also support "creating strict punishments for people who enter the U.S. on a temporary basis and then stay permanently." And, in terms of enforcement, most also favor "cutting off federal funding for cities that refuse to cooperate with federal immigration officials." These specifics are consistent with the fact that 55 percent believe the top priority in a grand bargain on immigration reform should be ensuring that border security measures are implemented and effective. Only 34 percent want legalization of those already here to be the primary focus. A bare majority (53 percent) want a couple of other items in the bargain: "creating strict punishments for landlords that knowingly rent apartments to illegal immigrants" and "having the U.S. military defend the southern border of the U.S."
Notably, only 46 percent thought "building a wall along the southern border of the U.S." should be included in a package of comprehensive immigration reform. Still, the list of items voters want in the package highlights the fact that their vision of comprehensive immigration reform is far different than the political elites'. To voters, comprehensive immigration reform begins with a comprehensive effort to secure the border.